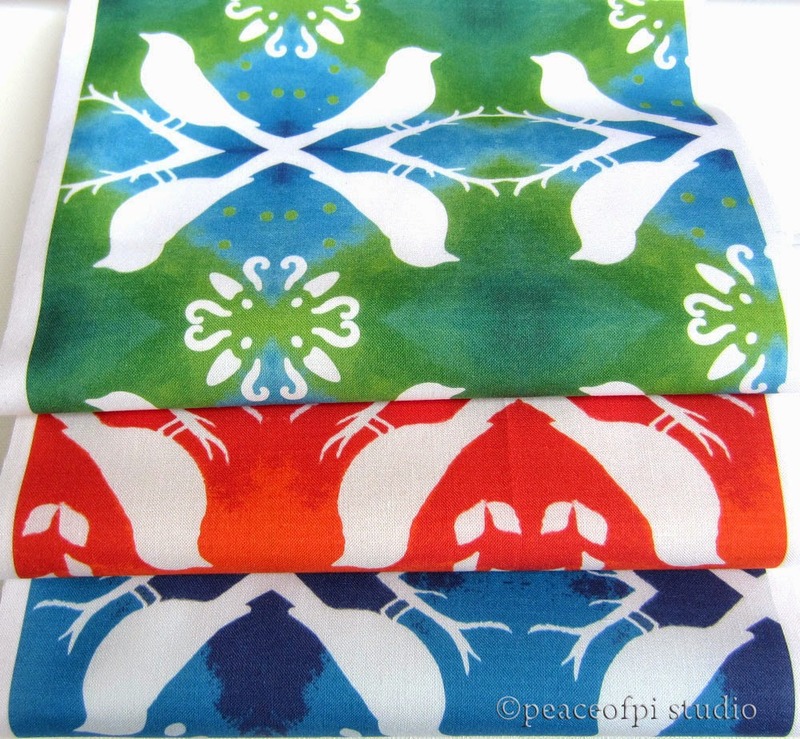 Three fabrics in bright springtime colors are available as part of the peaceofpi fabric collection at Spoonflower. In the aviary theme, the designs have crisp white bird silhouettes on backgrounds of green and blue, tangerine orange and royal blue. Printed on beautiful Kona cotton, the colors are vibrant, perfect for spring sewing projects, and a fat quarter yard would be brilliant for a quilter's fabric stash. Check then out if you have a minute. Thanks!